How might we gain more control over how we spend our later years? Our class began by physically simulating the effects of aging on our own bodies. We used items like plastic wrap and gloves to constrain our movement, then attempted everyday tasks. Learn More. After meeting with residents of a local retirement home, we spent time thinking about their pain points and overall experience. Those observations were then captured into personas. Learn More. I recognized a pattern, an older person had an accident at home that caused their adult children to forcibly intervene and take control of decisions. The compressed timeline and family tension make planning difficult. 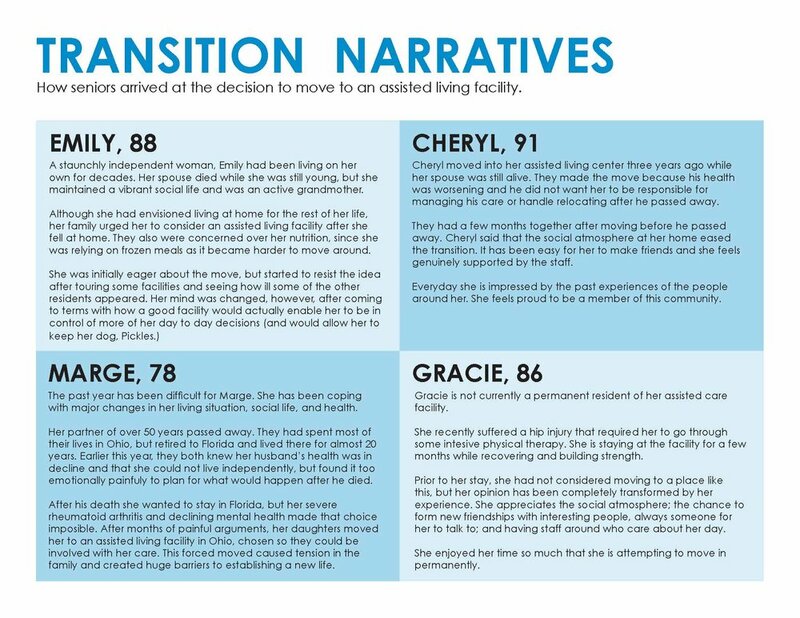 Between my personal experiences with family and my time spent with local residents, I realized that I wanted to focus on transitions from independent to assisted living. Learn more. 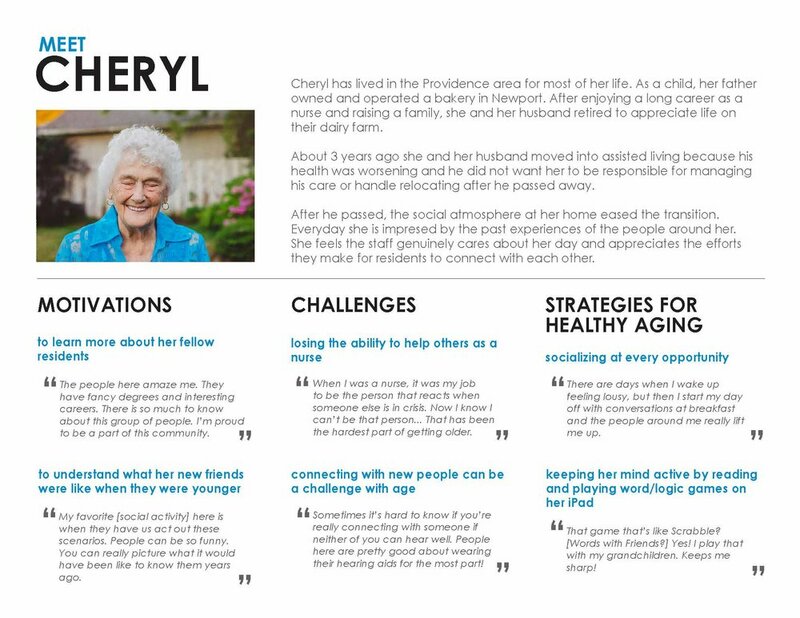 So I started looking into services that help older people explore options for their later years. I found that most were catered to adult children managing their parents in this crisis state. If we want people to make plans for aging on their own terms, we need services that put them in control. 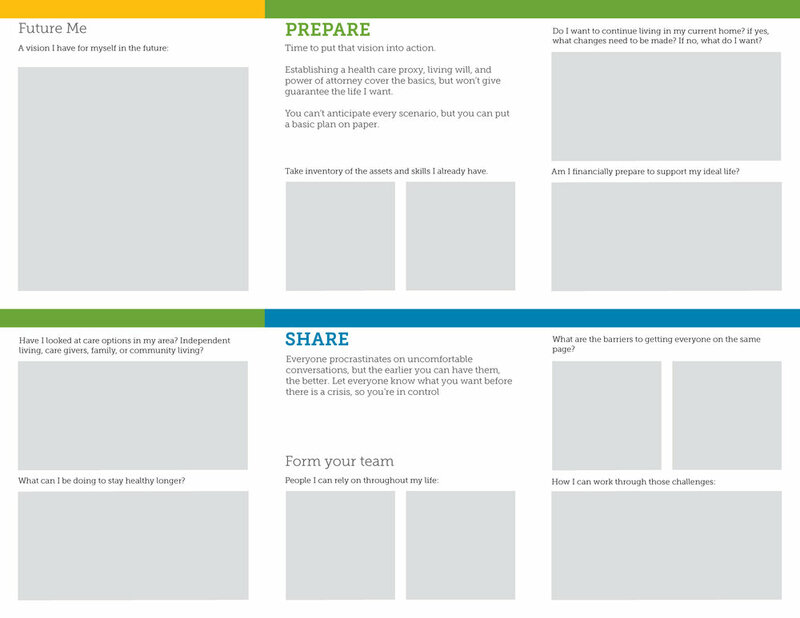 First I explored creating a site that would promote self-planning, but I realized that the real work begins earlier, in our collective imagination of what aging means and how we communicate it with people we care about. 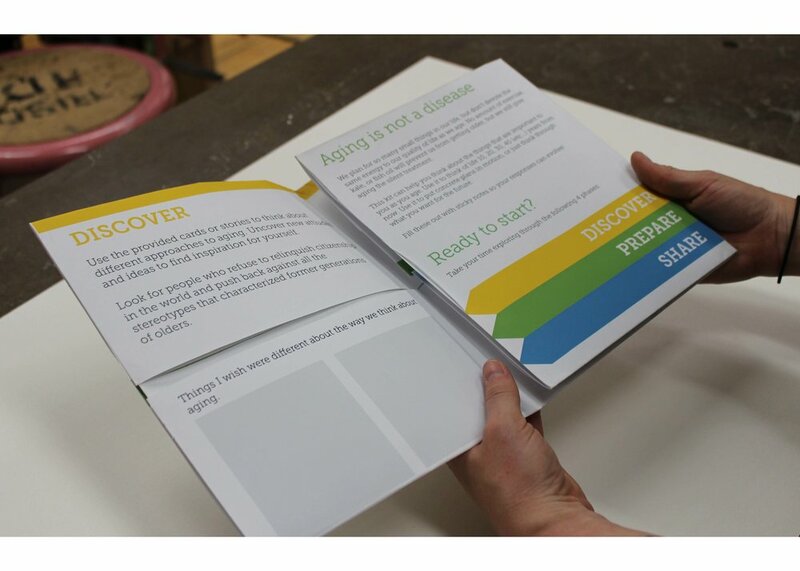 My final concept is a series of paper planning tools that help people vision how they would like to live in their later years. 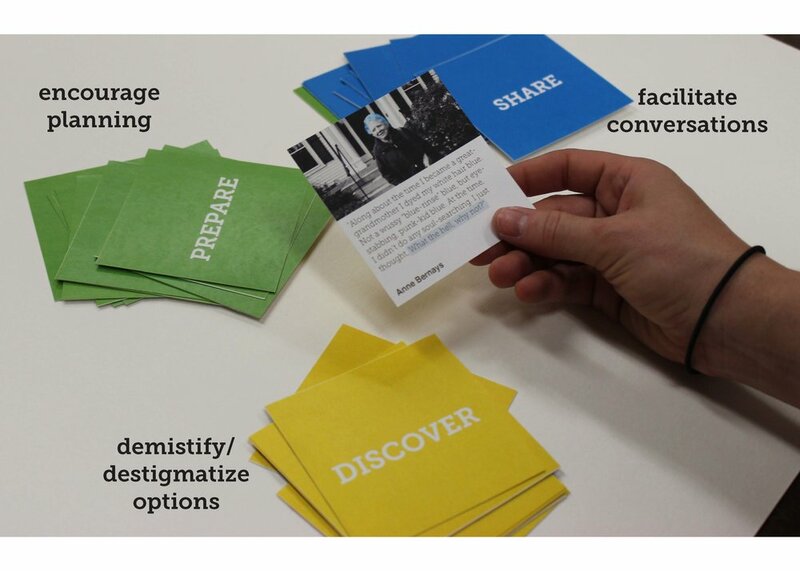 I see this project being used by the next generation of aging care services. As boomers age, they will refuse to relinquish citizenship in the world. They reinvented youth culture and will not cede their influence to a younger generation. They are also the first generation to have had significant experiences as caregivers for their own parents. Currently, over 10 million adult children over 50 are unpaid caregivers to a parent. The proportion of adult children providing personal care and/or financial assistance to a parent has more than tripled over the past 15 years. This generation will enter the aging market as critical consumers, eager to hold on to their sense of self and avoid circumstances that worsened their parents' quality of life.